Your Miami luxury villa is booked and the bags are packed. Now it’s time to plan some rewarding activities for the kickoff to summer, Memorial Day Weekend. Fairchild Tropical Botanic Garden in Coral Gables is 83 acres devoted to conserving the natural beauty of South Florida. It’s an appropriate backdrop for Dale Chihuly’s largest and most comprehensive exhibition to date of spectacular glass sculptures. Check out Tropical Chihuly Nights on Thursday and Sunday evenings, a twinkling wonderland of glass and light. May is Museum Month in Miami, so you’re arriving just in time to catch it. Miami has a wealth of museums for every taste. We’re confident you’ll enjoy these two. The centerpiece of the Vizcaya Museum & Gardens in nearby Coconut Grove is the James Deering estate, a National Historic Landmark, built in 1910s. This European-inspired estate includes a main house filled with art and furnishings, 10 acres of gardens on Biscayne Bay, a hardwood hammock, and a historic village. Perez Art Museum Miami (formerly Miami Art Museum) is Miami-Dade County’s flagship museum located in a 200,000 sq ft facility dedicated in 2013 in downtown Miami. The museum’s permanent collection is dedicated to international art of the 20th and 21st centuries. For families with children, this event was made for you! Flamingo Gardens is a 60- acre tropical paradise just a half hour north of Miami in Broward County. The Everglades Wildlife Sanctuary within the Gardens is home to the largest collection of Florida native wildlife including alligators, bear, bobcats, eagles, otters, peacocks, and flamingos. Kidzfest kicks up the fun a notch with some kid-centric activities like free pony rides, a bounce house, hulu hoop contest, live music, and arts and crafts activities. If you haven’t yet booked your Miami villa vacation, there’s still time. Click here and choose the luxury villa rental that suits your family group. And let’s get summer started, Miami-style! Aspen’s Top 10 Family Activities this Summer. Here comes summer, and Aspen is the place to be for family fun in the great outdoors. 1. Go white water rafting. Choose a half-day trip that’s a gentle glide down the Roaring Fork River with plenty of time to take in the stunning scenery, or one that’s adrenaline-charged as you negotiate Class IV rapids and “boulder gardens.” Whichever you choose, experienced guides make the trip safe and fun. 2. Ride downhill on a bicycle. A bike tour is an ideal family activity. Whether you choose the paved road tour down from the Maroon Bells, or the smooth dirt track that follows the Roaring Fork River, you’ll have a chance to stop and learn about the wildlife and flora and fauna along the way. 3. Tour the backcountry in a 4-wheel drive. Rugged but comfortable off-road vehicles charge canyons, climb foothills and traverse streams allowing amazing access to alpine forests and wildflower-carpeted high alpine meadows. Guides and drivers know just where to stop to give you that perfect photo opportunity. 4. Fly fish on the river. Cast your rod on the Roaring Fork or Frying Pan River featuring some of the finest wild trout fishing in Western Colorado. Both rivers are designated Gold Metal Rivers by the Colorado Department of Wildlife to signify outstanding trout fisheries. Anglers enjoy spectacular vistas of mountains and canyons. From novice to intermediate half-day hikes of 3-4 miles to full day hikes over challenging terrain for expert hikers, there’s something for everyone on Aspen’s wilderness trails. Along the way, enjoy the pristine alpine landscape and learn about the ecology, geology and natural history of the region from knowledgeable guides. 6. Ride a horse through beautiful country. The original settlers in this area came on horseback so, from the saddle of your experienced packhorse, you get a perspective on what they saw so long ago. Enjoy riding through aspen groves and pine forests, accessing remote lakes and streams, and viewing scenery that will take your breath away. Rock climbing classes are available for novice to advanced climbers. All classes teach basic skills, including knots, belaying, and movement on rock. Full and half day classes are available with AMGA certified guides. All safety equipment such as: harnesses, helmets, climbing shoes, ropes, and anchors are included. 8. Attend an open-air concert. Day and night, music takes center stage during the summer months. Whether you enjoy bluegrass, folk, rock, or classical, there’s something for every musical taste. Pick your genre, pack a picnic lunch and enjoy music in the great outdoors, an Aspen summer tradition. 9. Take a gondola ride up Aspen Mountain. The Silver Queen Gondola, the longest single-stage gondola in the world, rises from Aspen town to the summit of Aspen Mountain, a 3,267 vertical rise. At the 11,212-foot summit, revel in the views, dine on the Sundeck, jump on the climbing wall or Eurobungy trampoline, or take a free, guided nature walk. 10. Soar over mountain peaks in a hot air balloon. Set off early in the morning when the air is brisk. During the flight, you’ll see amazing views from about 1,500 feet above the Colorado landscape. A champagne brunch ton landing tops it off. This is an exhilarating adventure you’ll never forget. Villazzo is your source for Aspen luxury vacation rentals. Book your Aspen villa now for the summer season, and start planning summer days packed with exciting activities and family fun. We love our mothers, grandmothers, daughters and moms-to-be. They give life and dispense love in the most unselfish way. During the month of May, we want to help you honor them with a luxury villa vacation and some pampering they so deserve. 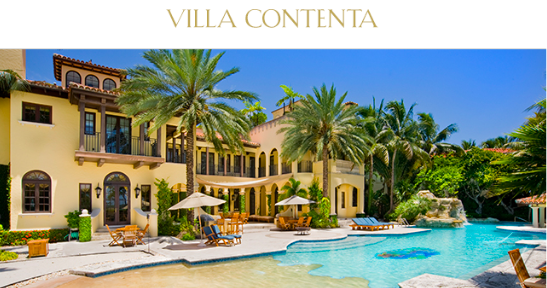 Our “Celebrate the Love” package offers special pricing on a minimum 3-night stay at the fabulous Villa Contenta in Miami plus special complimentary personal services we tailor especially for your group. Mom will enjoy a relaxing massage followed by champagne. Bring along your grandmother and we’ll treat her to a new hairstyle and a mani/pedi. New moms will appreciate a full day of babysitting. And expectant moms will embrace a prenatal yoga session and natural fruit juice. Trust us to know what complimentary personal services will be just right for the women in your group. Don’t miss your opportunity to indulge all the moms in your family and celebrate in style. Book now to assure availability. With 11,000 sq ft, six bedrooms and every imaginable amenity, Villa Contenta can only be described as spacious and gracious. Built in the Spanish Colonial style, this grand villa features fabulous views across Biscayne Bay towards South Beach plus a private dock and floating deck at the waterfront. There’s a large dining terrace next to the enormous 130 ft heated, walk-in pool with Jacuzzi, swim-in grotto and waterfall. Villa Contenta also features a lounge with grand piano, a full-size pool table, movie theater, and bar. Inside and out, Villa Contenta offers the ultimate in relaxation. 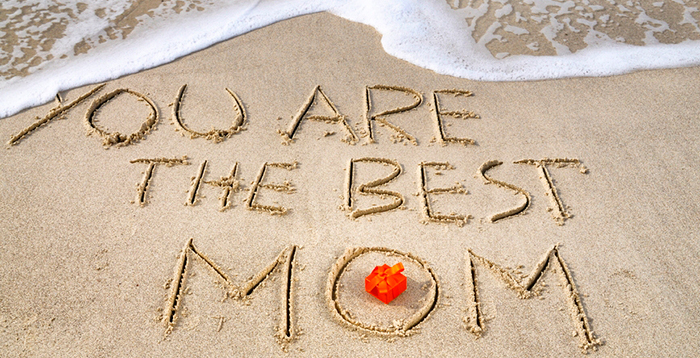 So why not offer Mom the peace and serenity she’ll revel in! You are currently browsing the Luxury Home Rentals in Miami, Aspen & St. Tropez – Villazzo blog archives for May, 2015.